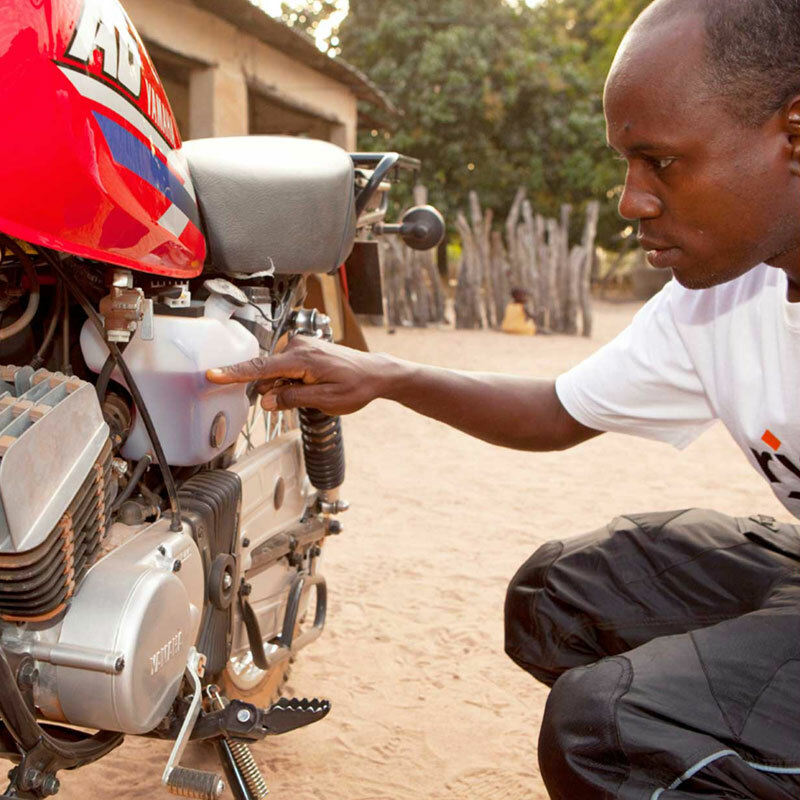 Two Wheels for Life raise money to fund programmes in Africa that ensure life-saving healthcare gets to rural communities using reliable transport. We are the official charity of MotoGP™ and it is with the incredible support of the racing teams, riders and the motorcycle community that we have been able to create a movement for good in the world of motor sport. We work with local development partners Riders for Health (Riders) to combat the challenges to health care delivery in rural Africa. Riders ensure health care reaches the poorest and most remote communities in Lesotho, Malawi, Nigeria and The Gambia, Kenya, Liberia and Zimbabwe. The programmes we support focus on the issue of transport for health workers, an essential but neglected aspect of health care in Africa. The money we raise is used to train and provide reliable transport to health workers so they an reach remote villages with care. We believe that children everywhere should have access to vaccinations and early years care. Reliable transport means nurses can run clinics for children in communities who would otherwise be without these services. The programmes we support ensure vehicles can be serviced in rural Africa where there is no existing infrastructure for vehicle maintenance. 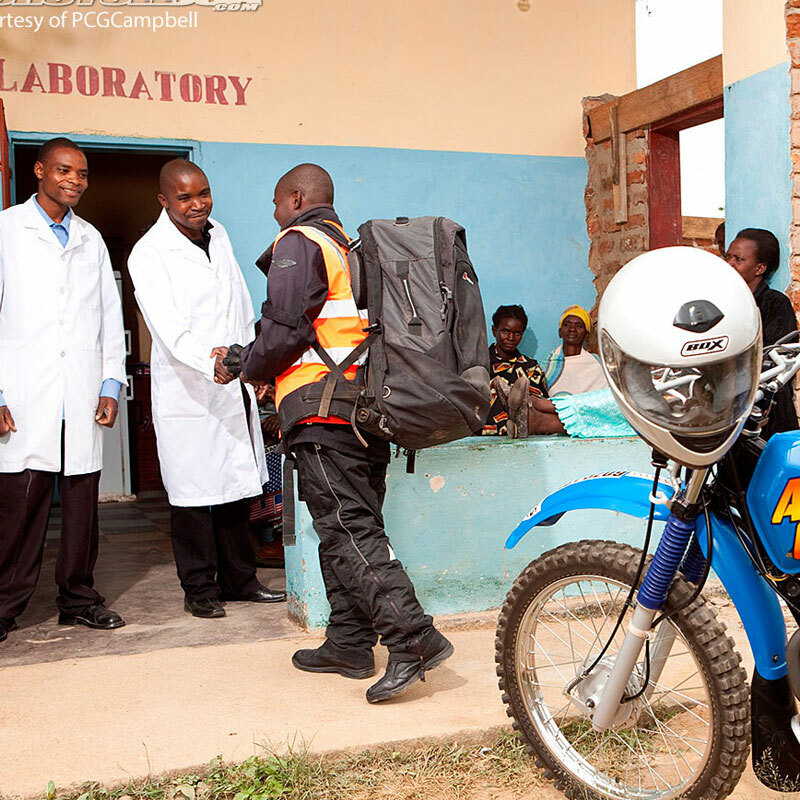 We fund programmes that use motorcycles to transport lab results quickly and reliably. This makes sure diseases are diagnosed and treated quickly. Average turn around time for diagnosis of HIV, AIDS , TB and epidemics like Ebola, is cut in half with reliable transport systems. Our work gets mothers in dangerous labour to hospital using specialist ambulances saving mothers lives. In sub-Saharan African 1 in 36 women die from complications during pregnancy and labour.